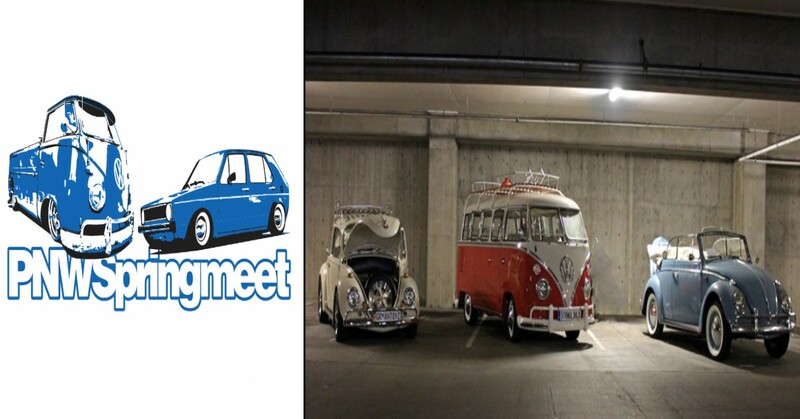 A Classic Seattle Aircooled Event in Seattle Area - 2018 PNW Springmeet - You are INVITED and welcome to INVITE your FRIENDS to A Classic Seattle Aircooled Event. Stroll through time as you see early air cooled restored volkswagens and other aircooled european vehicles. Rummage through aisles of NOS and dirty greasy parts in our HUGE SWAPMEET area. Don't forget the vendors and food trucks on site to tease your pleasures.